Being "in the zone" reflects that total mental focus and clarity that comes to people concentrating hard. For athletes and professionals, it can take years of practice and hard work. For us mere mortals, BrainCo offers a way to learn how to focus. How? Professor Don gets all brainy with Max. The idea behind BrainCo is to use their Focus One headband with gamification to improve mental concentration. The BrainCo band reads small electrical impulses in the wearer's brain and picks up on changes in the frequency and amplitude of the impulses (EEG). As everyone's brains are different the band establishes a personal baseline and works on changes from that baseline to understand when the person is relaxed, focused or distracted. 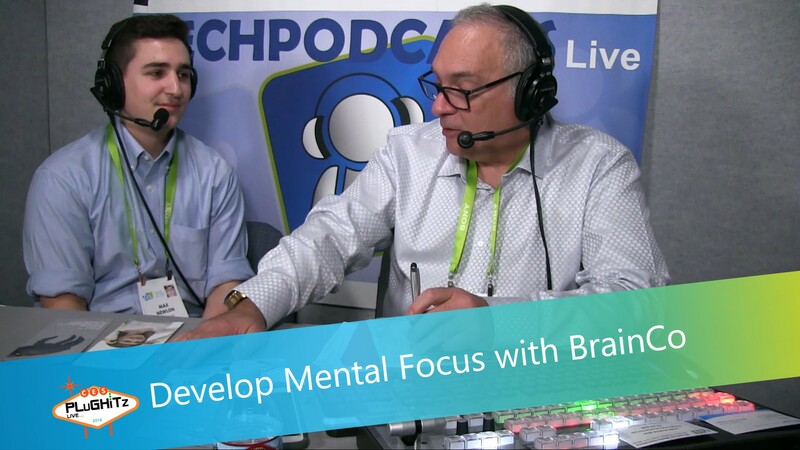 The BrainCo Focus One reinforces good mental behavior and this can be especially useful for children who have learning difficulties such as ADHD, but it also has application in ensuring that teachers are engaging with their students. The FocusOne isn't yet available to buy but if you are interested, you can register on the BrianCo website for an early bird discount.